This guide will help you get the best video signal quality possible from your Playstation 2. Note: RGB/SCART Cables have yet to be properly researched for this guide. The PS2 uses the same connection as the original Playstation, allowing you to use cables interchangeably between systems. RF-Switch is the very worst display option. This should be a last resort. Only use this cable if you are connecting to an old SDTV that has no other connection options other than RF Switch. Composite (Yellow Cable) is the standard video cable that comes with the Playstation 2. Obviously we want to upgrade and improve the video signal by choosing a better cable. However this will all depend on whether you are using an SDTV or an HDTV, and what type of connectors your TV has on the back. The PS2's library has the most diverse signal output range of all the consoles that OC covers. The PS2 has many 240p arcade ports, and only a small fraction run in Progressive Scan. There are many that do, but not to the same degree as the Dreamcast or GameCube. Where we go from here all depends on whether you are using an SDTV or an HDTV, and what type of input connectors your TV has. If you are using an SDTV, and it supports S-Video, then buy the S-Video cable. Here you are going to see the largest leap in video performance for the money. Tracking down a quality S-Video cable for the Playstation 2 is easy. They are plentiful and all first/third party cables work just as good. A PS2 S-Video cable should run you about $5. Component is better than S-Video, but the improvement ratio from S-Video to Component is a bit less than Composite to S-Video. You will get a very sharp picture and more vibrant colors, but the detail upgrade is less noticable. If your SDTV supports Component, by all means buy the cable. You won't be dissapointed. Since the PS3 uses the same connector as the PS2, finding a component cable for your PS2 is easy and affordable. SDTV's render in two primary modes: 240p and 480i. The "i" after 480 stands for "Interlaced". Which means it displays two sets of signals alternating on odd/even lines of the TV. Most Playstation 2 games will run in 480i on SDTV's (though quite a few will render in 240p, see our 240p guide here). 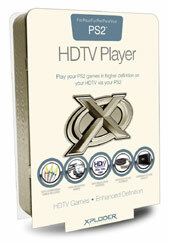 HDTV's have a native fixed pixel resolution. Video is rendered in "progressive scan". Your TV could be 720p, or an even higher resolution at 1080p. While SD displays and older CRT Computer monitors can switch resolutions, HD displays can only render in 1 resolution. Therefore if you connect your GameCube to an HD Display, of the many signal processing procedures that take place, it will: 1) convert the signal from interlaced to progressive and 2) scale the image to a higher resolution. Re-processing the video signal takes time, which creates a subtle delay that can be easier felt than seen depending on the games you play. Not only this, but the process of scaling a smaller image to a larger size degrades picture quality. Up until now, we have been talking purely about the video cable affecting picture quality. However now the TV inversly impacts the picture, and we have "display lag" to deal with. So what do we do? Since the Component cable is cheap and easy to acquire, and it yields the best video output possible, this is the cable to use if you are on an HDTV. However, for the Playstation 2, its not just a matter of choosing a cable, but also unlocking Progressive Scan capabilities in games that support it. For some games it is an in-game menu option. For others, you have to hold a button sequence (X + Triangle) as the game boots to force it into this mode. The game will typically give you a prompt asking you whether you want to proceed with this action. What happens if a game doesn't support Progressive Scane? The game will still run on your TV, but it will have to de-interlace the signal from its 480i (interlaced) signal into a progressive signal. This of course will add some delay to your gameplay experience. Before you connect your component cable, be sure your PS2 is in the right mode (Y Cb/Pb Cr/Pr) in the system configuration. Otherwise you will fail to get a picture. RGB is for 21pin/SCART. Xploder released a boot disc for the PS2 that can do wonderous things. 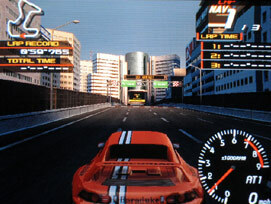 It can force many PS2 games into 480p, and even push some to render in 720p, a far higher display resolution. This disc can be hard to find, and was released in both North America and PAL territories. I highly recommend buying one of these discs, since they can do amazing things for some of your favorite PS2 games on HD displays. These are only going to continue to become rarer, so act fast! I have this disc, and in my experience the disc is very much an experimental device. Sort of like the Bleemcast beta boot disc for the Dreamcast where the disc works fantastic for some games, but may not boot other games properly, or it can take a few tries to succeed. This disc is ultra rare. So if you see it, buy it without hesitation.